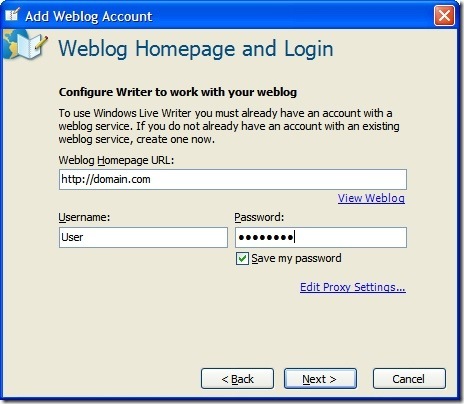 How to create a new account in Windows Live Writer for a site using BlogEngine.Net 1.3.0.18 or later. 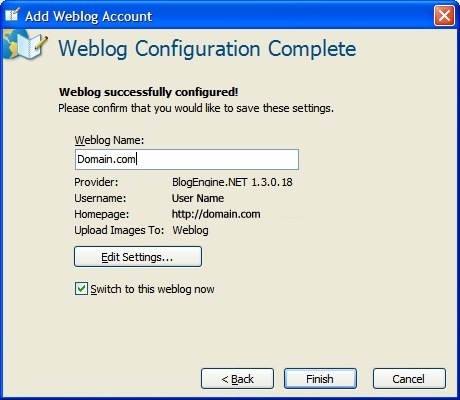 Add a new weblog account. 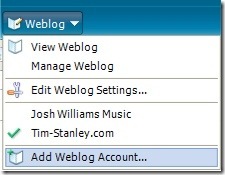 Enter the Homepage URL, username, and password. 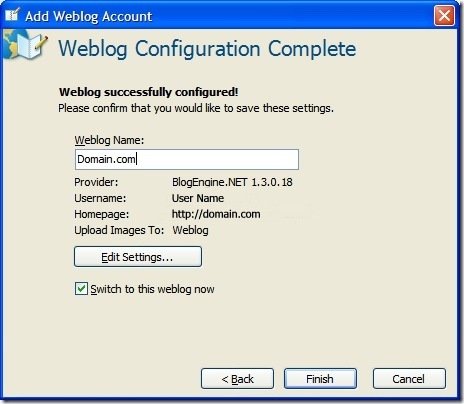 Live Writer will detect the weblog settings (If you use another service that supports other formats, you'll be prompted what API and URL to use). 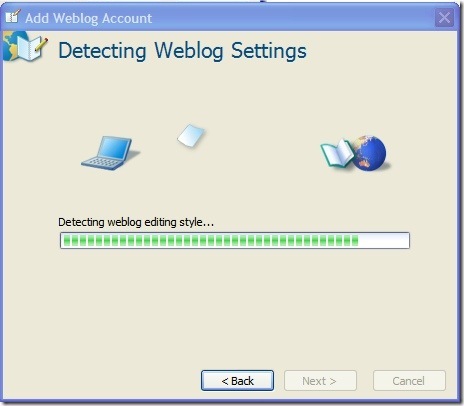 I recommend letting Live Writer detect the theme. 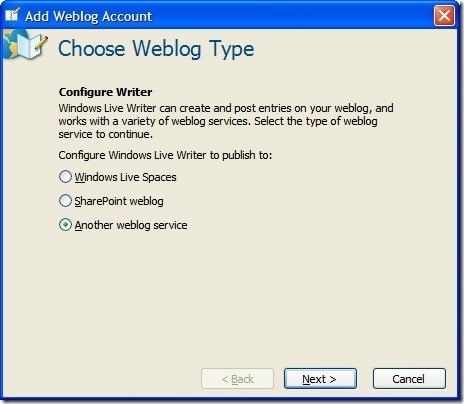 Live Writer does not successfully delete the test post so you will have to do that manually later.